Fayette Mini-Mart celebrated its Grand Opening on March 21. Shown from left are store employee Amy Hudson, DeWayne Guyton, Fayette Chamber of Commerce Director Daniel White, Store Owner Yonas Getachew, Fayette Fire Chief Shannon Taylor, Willie Ivey, Adam Fowler and Larry Humber. 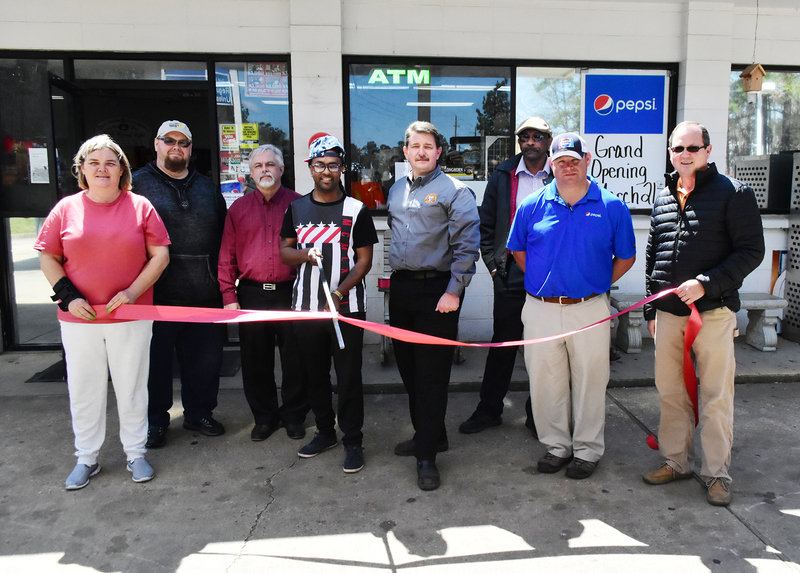 Fayette Mini-Mart, located on the south side of Fayette at the intersection of Highway 171 and Highway 159, celebrated its Grand Opening and Ribbon-Cutting on March 21. The store is under new management and is operated by new owner Yonas Getachew.